The Laoshan session of the 2017 Qingdao International Beer Festival attracted 1.05 million revelers who drank 680 tons of beer during the 17-day beer carnival in Qingdao's Laoshan district. It was in 1994 when Laoshan held the Qingdao International Beer Festival for the first time. In April of the same year, a brand-new Laoshan district was established. Laoshan grows together with the beer festival. 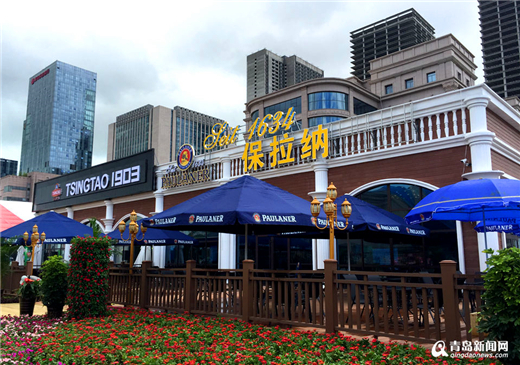 Qingdao International Beer Festival witnessed the development of Laoshan district, and vice versa. It is also known as the "beer festival complex", which Laoshao people are proud of, said Guo Zhendong, deputy head of Laoshan district. 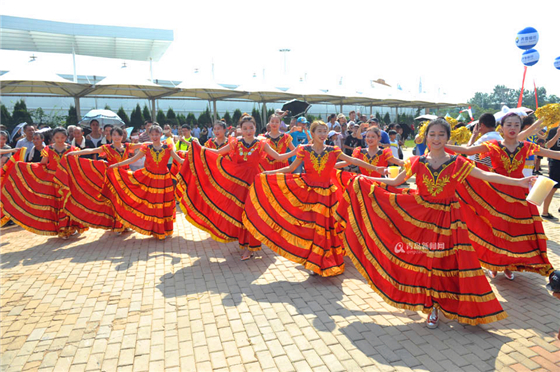 Qingdao International Beer Festival has been held in Laoshan for 24 years. Guo said, in order to ensure a successful event, Laoshan selected senior manufacturers with vast experience in participating in such kinds of beer festival. They are experienced and cherish beer festivals and they carefully planned all the tents, atmosphere, lighting, landscaping and even performances. "Beer festival is not only a culture element but also an industry. The annual beer festival promotes the industries of Laoshan and the entire city. During the pursuit of a high quality beer festival, the festival is also raising the visibility and reputation of Laoshan district," Guo added. Guo said that festivals should adhere to the cultural background, and should have the courage to innovate and form their own brands. This year, Laoshan explored many new methods of innovation. For example, it set up a "quiet beer bar" for the first time. On one side was the bustle beer canopy, and on the other side one was a quiet and elegant beer bar, allowing different consumers to experience different sorts of beer cultures. 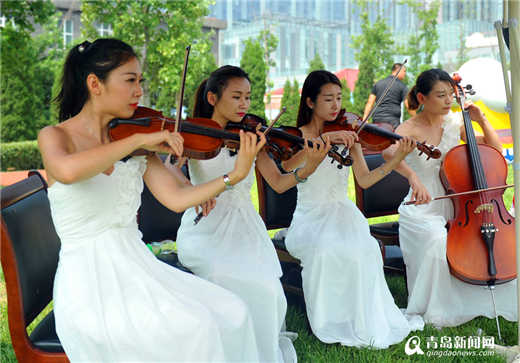 It also combined the scenery of Qingdao with VR technology for the first time. During the festival, nine VR games were available, which attracted many visitors. Meanwhile, there was a firework show every night. Visitors were able to appreciate the amazing performances while enjoying their beer. In terms of ways to further develop the beer festival, Guo said that it should introduce relevant formats, select excellent brand manufacturers and enrich activities to attract more people to participate in the event. According to Liu Hongtao, Qingdao beer festival's office director, Laoshan session used the concept of German Munich Oktoberfest Festival for reference to reflect the eternal theme of "Qingdao ganbei (drinks) with the world". Liu said that Laoshan district will take full advantage of its tourism resources. By the end of 2017, tourism contribution will contribute to more than 15 percent of Laoshan's total GDP. Laoshan will also implement the "tourism +" industrial integration project. It will extend festival industry chain relying on local unique tourism resources, as well as the international beer festival and other activities. 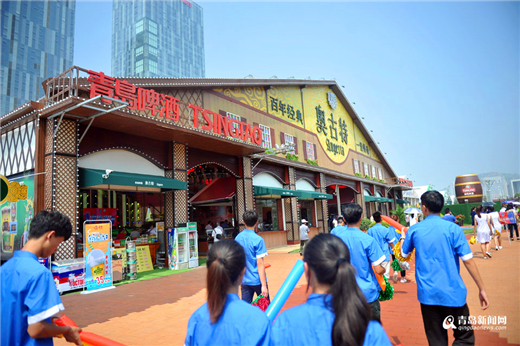 Next year, Metro Line 2 in the Beer City will be open, which will bring about more developmental opportunities for the Qingdao International Beer Festival.